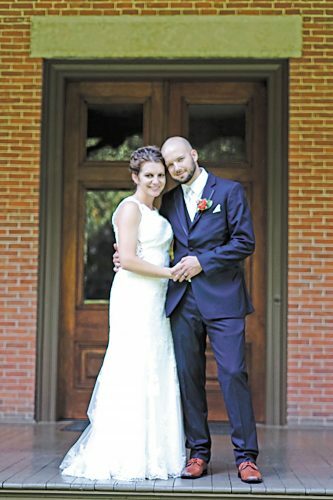 Mollie Elaine Martin and Derek Sean Luidhardt exchanged wedding vows in a double-ring ceremony at 4:30 p.m. June 11, 2016, at Trinity United Church of Christ, Tiffin, with the Rev. Kurt Schaller Blaufuss officiating. A reception followed at Heidelberg University Campus Center Great Hall. The bride is the daughter of Joan Martin and the late Nevin Martin of Tiffin. The groom is the son of Linda and Michael Troiano of Tiffin and Steven and Kelli Luidhardt of Tiffin. The bride, given in marriage by her uncle, David Shannon, wore an ivory ballgown with a sweetheart neckline, lace bodice and full-layered, horsehair tuile skirt. She also wore a candlelight, fingertip, double-layer, tuile veil with a gold rose vine headwrap and carried two dozen ivory and peach venecia roses. 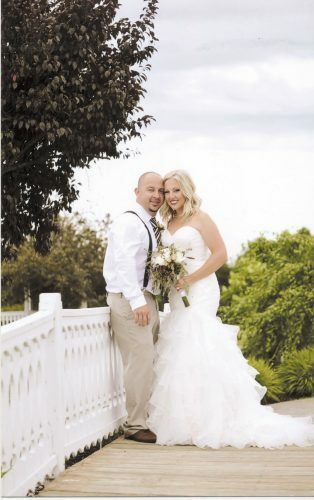 The groom wore a custom ivory and black dinner jacket. Bridesmaids wore long, black, chiffon, strapped dresses and carried one dozen ivory roses. Maid of honor was Lydia Martin of Tiffin, sister of the bride, and bridesmaids were Ellyse Bowen of Tiffin, friend of the bride; Elizabeth Shannon of Alliance, cousin of the bride; Megan Podges of Stow, sister of the bride; Katlyn Martin of Tiffin, sister-in-law of the bride; Andrea Galvin of Upper Arlington, friend of the bride; Ashlie Chartier of Tiffin, friend of the bride; Ginger Yandura of Tiffin, sister of the groom; Jodie Porges of Mountain View, California, sister of the groom; and Lindsay Bogner of Columbus, friend of the bride. Flower girls were Abigail Lewis of Tiffin, cousin of the bride; Caroline Lewis of Tiffin, cousin of the bride; Eleanor Lewis of Tiffin, cousin of the bride; Evelyn Murphy of Tiffin, cousin of the bride; Annabelle Murphy of Tiffin, cousin of the bride; Colette Murphy of Tiffin, cousin of the bride; Ella Nye of Dublin, cousin of the bride; Isabella Podges of Stow, niece of the bride; and Georgia Yandura of Tiffin, niece of the groom. Groomsmen included best men David Yandura of Tiffin, brother-in-law of the groom, and Nevin Martin of Tiffin, brother of the bride; Justin Atkin of Tiffin, friend of the groom; Adam Porges of Mountain View, California; brother-in-law of the groom; and Chris Morgan of Port Clinton, friend of the groom. 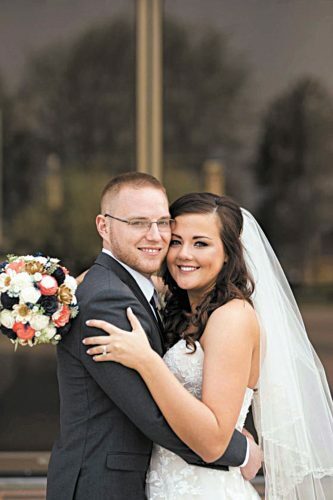 The bride is a 2006 graduate of Tiffin Columbian High School, a 2010 graduate of The Ohio State University with a bachelor’s degree in English, and a 2016 graduate of The University of Findlay with a master’s degree in human resources development. She is a high school language arts teacher at Tiffin Columbian High School. 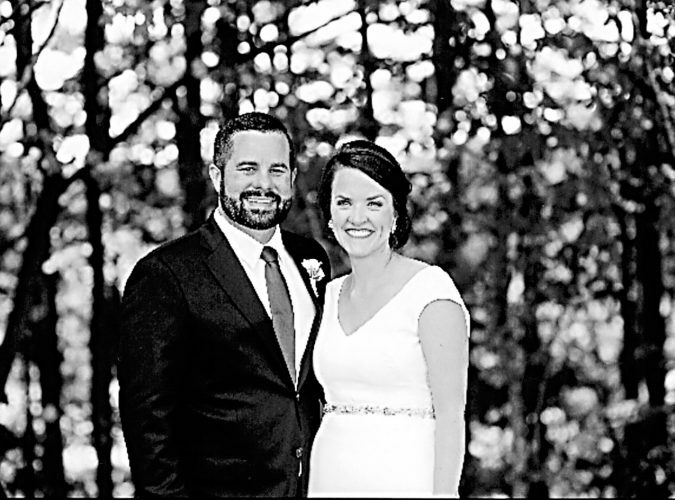 The groom is a 2004 graduate of Tiffin Calvert High School and is an independent flooring contractor for Lee’s Floor Covering and Lowe’s Home Improvement. 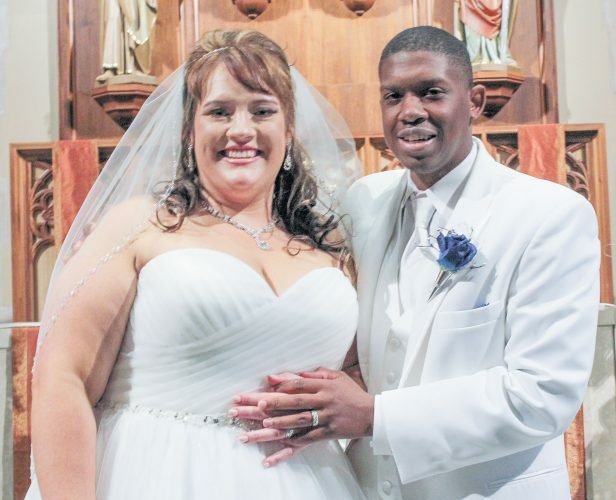 The couple lives in Tiffin after returning from a honeymoon in Jamaica.